Corporate storytelling is one of the standout methods that major companies use in order to promote their business further and engage their audience. The main purpose of corporate storytelling is to generate conversions via storytelling while enticing people to check out their products and services. This is about winning the acceptance of a service, product or concept that’s new on the market, making people convert at a premium pricing and improving the revenue margin. When people read a story, they are much more inclined to convert. This is why corporate storytelling is such a success. It allows companies to connect further with the audiences at a personal level in order to make them see the usefulness of their products/services. Nevertheless, how can you improve your corporate storytelling? Here are five tips to help you with that! 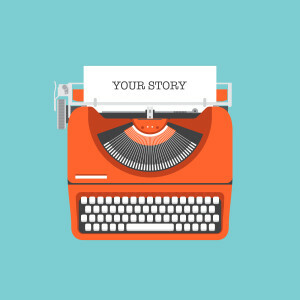 It’s important to create a narrative arc if you want your corporate story to be realistic. You will need to include an introduction or setup, and then a conflict and a resolution. This is a three-act structure which may be used anywhere in our world, including movies, books and so on. In the setup portion, you will need to establish the protagonists and the other characters, and then you will need to enter the conflict phase where you promote numerous ideas about the characters and design the plot. The conflict portion is by far the largest when it comes to corporate storytelling, so keep that in mind at all times. In the end, you’ll just have to create a resolution that brings a satisfying end to the whole story and which entices people to check out the corporate products and services. When writing corporate storytelling arcs, the main purpose is to enrich the client base and generate conversions. Remember that this is more than just doing something fun; instead it’s a business strategy that needs to be followed to the letter. You will need to find a purpose for your writing if you want to be actually appealing to your target customer base. A hard trick to master is to maintain the same voice. When performing corporate storytelling, you always have to keep in mind the corporate voice and apply it at all times. Not only that, but you need to maintain it throughout the article, so people realize your business is behind the whole story. From here to connecting with the audiences and converting them to paid customers is just a small step. If you create a corporate story, make sure that it’s grounded in reality because this is the only way to convert. At the same time, do not be afraid to use pop culture ideals if they pertain to the story and make it interesting. The main idea here is that you have to be authentic and bring something that makes your company stand out in the massive corporate world. A good idea here is to tap into the emotions of your readers by using a great intonation and a vivid language as well. With the help of parables, idioms or metaphors you won’t have a problem getting the attention of your users, and from here to making them convert is only a single step. While the art of corporate storytelling can be tricky, these ideas can help you generate a new, exciting way to perform marketing for your corporate services. Don’t hesitate and use these tips in order to enrich your client base and generate an emotional connection with them, as this is the best method to stand out in the market! !